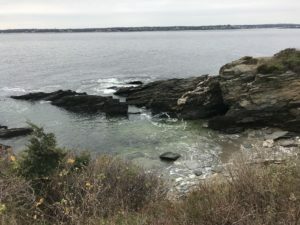 This week I visited Black Point Park and Fishing Area in Narragansett, Rhode Island. 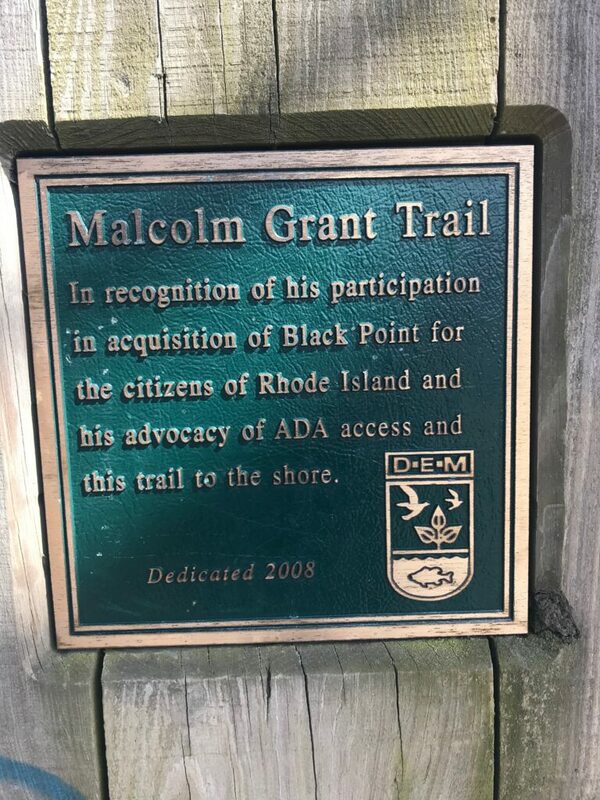 During my visit I mainly followed the Malcolm Grant Trail which historically is a well known public access point and natural area along Narragansett Bay. I found it interesting how drastically the vegetation changed in relation to distance from the ocean. 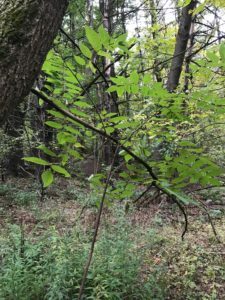 The initial ecosystem seemed to dominate with hardwood trees including species such Black Cherry and Ash. 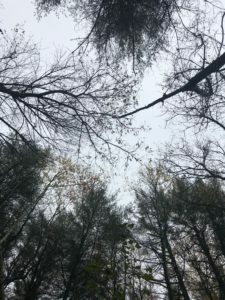 The species found here overlapped with tree species at my VT Centennial site though Eastern White Pines did not dominate the Black Point stand as they do in Centennial. 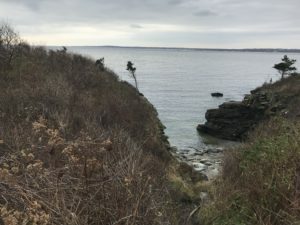 Closer to the ocean was a buffering area of small shrubs and grasses. Some of these species included pokeweed and winged sumac, both which are not found at my regular phenology site. Black Point was also noticeably more windy then my site in VT where a larger forest patch creates wind protection. This difference may create even more differences in the species who live in each habitat. 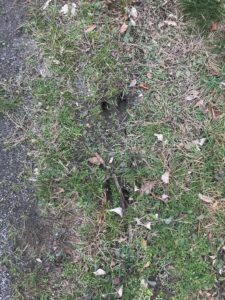 Walking along the muddy parts of the trail I saw many dog tracks alongside human footprints. 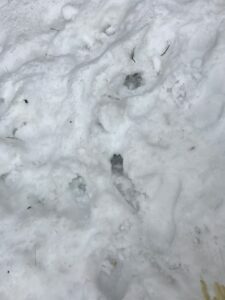 Unfortunately these were the only tracks I founds. Still, I suspect both White Tailed deer and Red Fox to live in this region. Deer as they are a very common and an adaptable species, and Red Foxes as they thrive in areas with both woodland and forest edge. 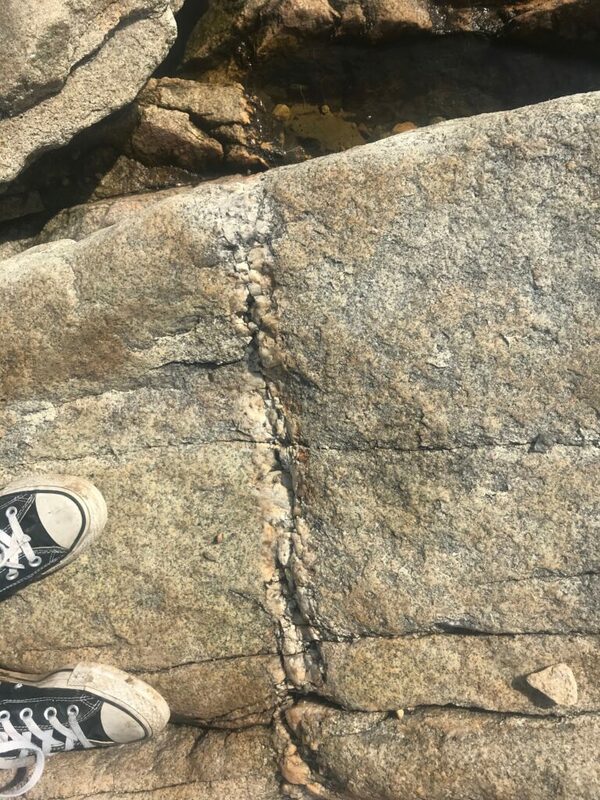 The cliff area boarding the ocean showed cracks and erosion from the water. 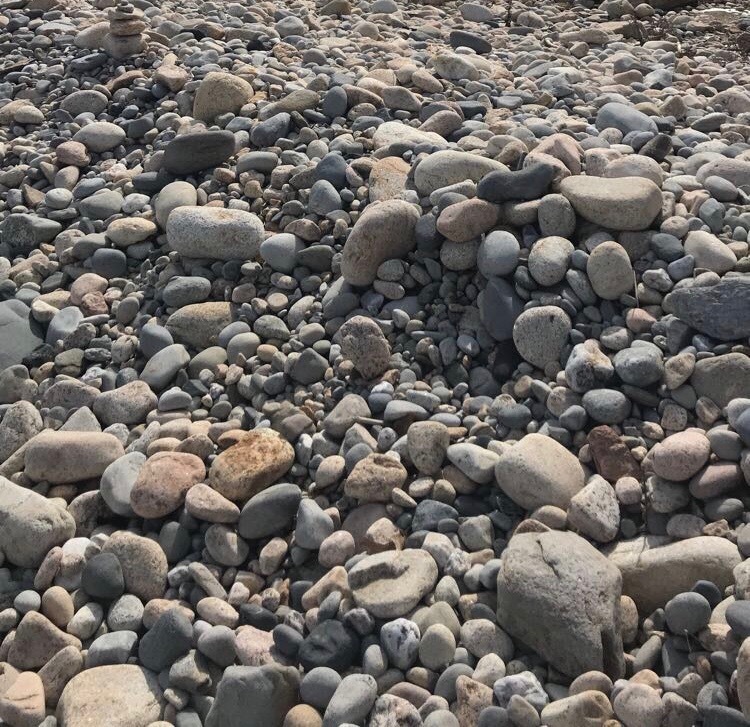 Additionally all of the stones found on several stone beach inlets were smooth from the constant crashing of waves. 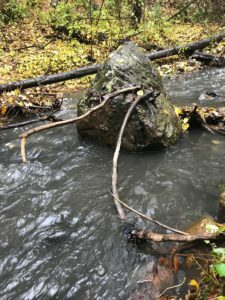 This differed from the stones at my Centennial Site that exist jagged and have undergone far less erosion from the weaker brook. 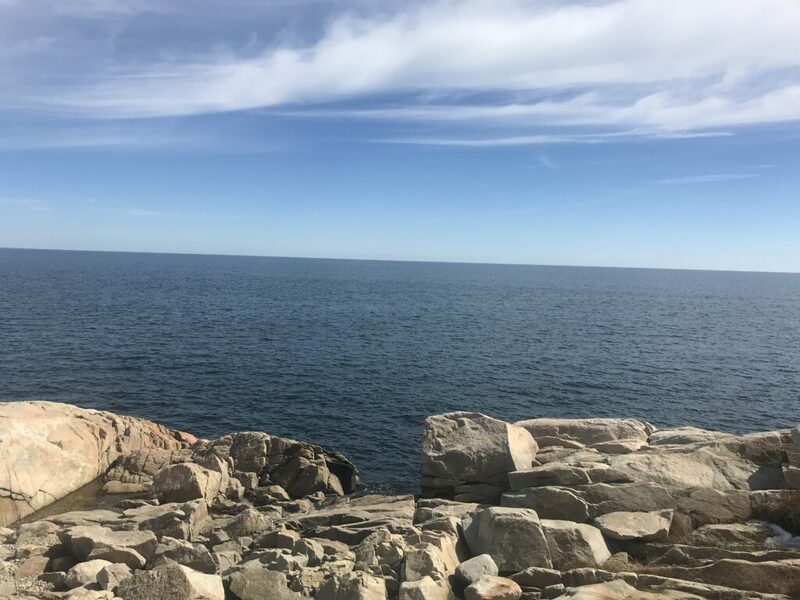 Viewing the calmer waters protected by inlets I saw several coastal bird species not found in Centennial such as ring billed gulls and mergansers ducks. 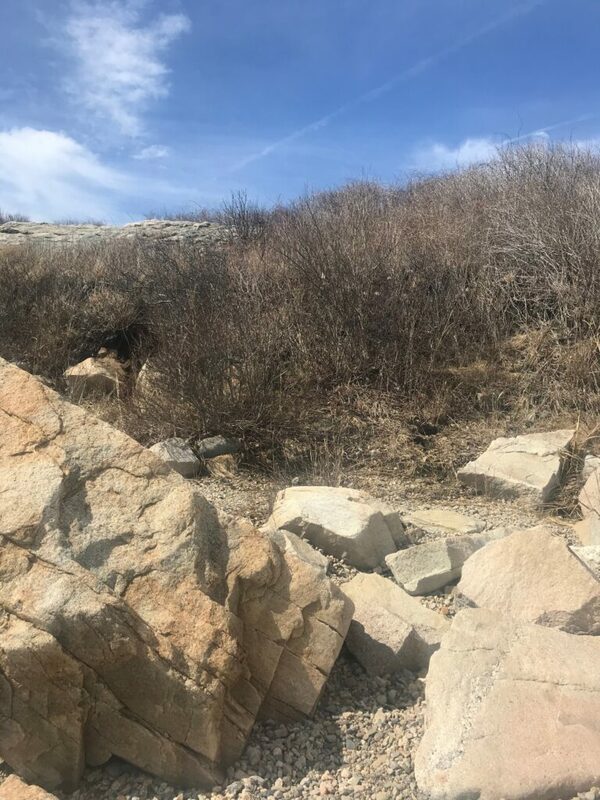 Although the woodland area found at Black Point did share several species with that of my site in Centennial, the ecosystems as a whole are very different. 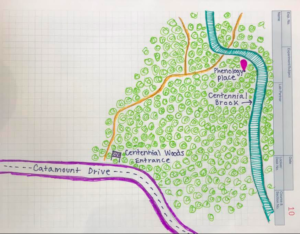 Centennial is a developing complex forest while Black Point is a coastal habitat making the two fundamentally different. This entry was posted in Uncategorized on March 18, 2019 by saclelan. 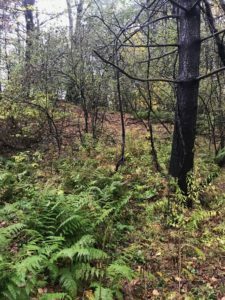 Based off of the information found in Wetland, Woodland, and Wildland, my phenology site can be classified as an old growth forest. 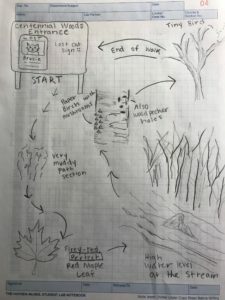 Although the forest is historically known to be young and therefore not as complex as it may become in the future, several hints lead me to believe the forest is entering an old-growth, second succession stage. 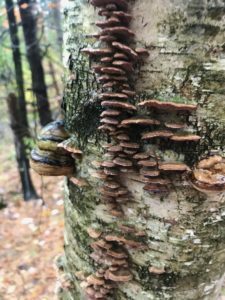 For instance, my site contains many birch trees who are now dying due to their shorter longevity. These trees were likely from the prior stem-exlucsion forest stage but now are blocked sunlight by the dominating Eastern White Pines. 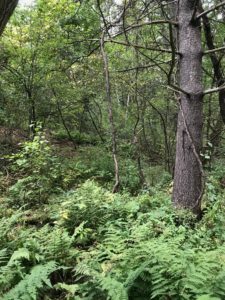 Additionally, although not currently, I know in the warmer months that my site has a very strong, dense understory. 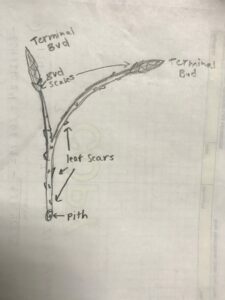 This further supports the complexity of an old growth forest. 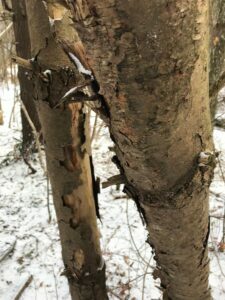 Beyond the disappearance of understory vegetation since my first visit to my site, I have recently noticed lots of dying tree decay during the cold winter months. The area in general is much more sparse. 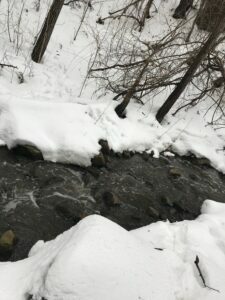 The Brook that flows within my site is more turbulent than past visits as it is full of run off and precipitation. Additionally it seems that erosion along the edges of the brook has left sand and rocky sediments to mix into he turbulent water flow. 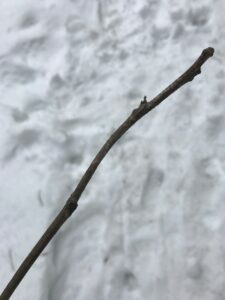 This entry was posted in Uncategorized on March 8, 2019 by saclelan. 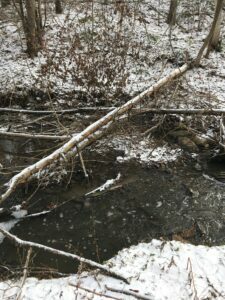 Today during my trip to Centennial, although I did not see any animals, I witnessed many indicators of life in the area. 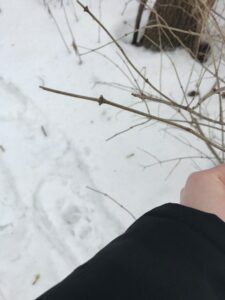 Heading down the path, I spotted what looked like the paw prints of several dogs. These animals were clearly having a fun time running around and exerting excess energy. 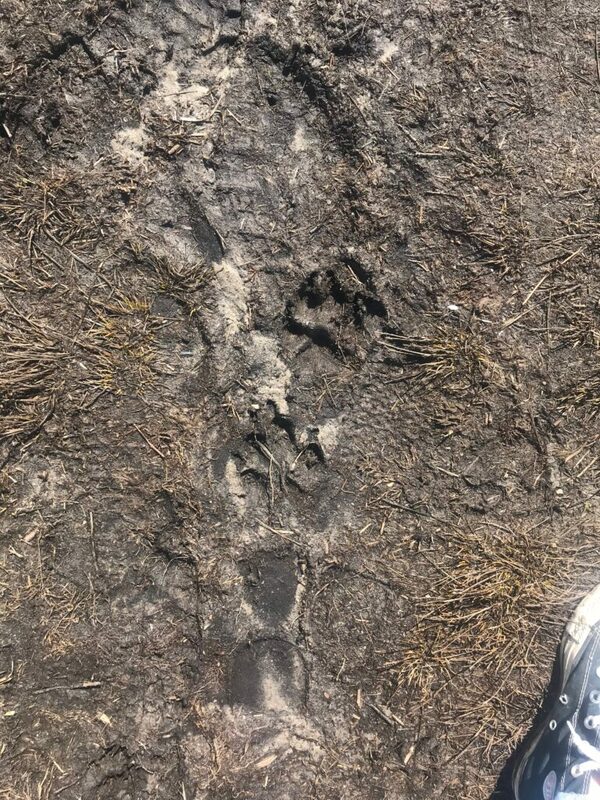 Entering into the less-travelled core region of my phenology site, by the Brooke, I spotted the tracks of deers who had appeared to cross the river. 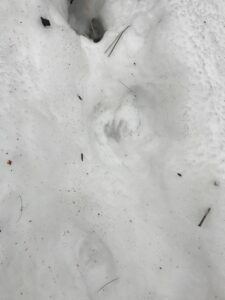 Additionally, I saw what looked to be the pacing prints of a raccoon. Listening I could hear a crow somewhere in the canopy. 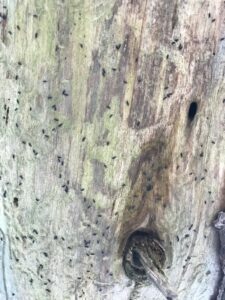 Lastly I noticed what looked to be a cluster of small, black snails gathered on a dying tree. 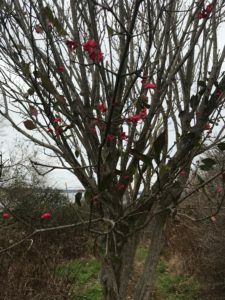 This entry was posted in Uncategorized on February 4, 2019 by saclelan. 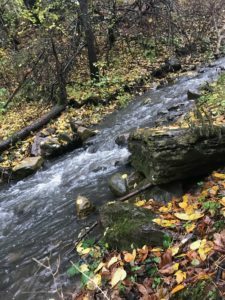 A brief history of Centennial Woods: Centennial woods grows upon the site of the ancient Champlain Sea from 10,000 years ago, this explains the forest’s sandy soils. In more modern history the Abenaki Native American tribe lived sustainably in this region of Vermont hundreds of years ago. They likely hunted, gathered and passed through areas of Centennial during this time. With the movement of European Settlers into the area during the 19th century, Centennials old growth forests were cleared for agricultural purposes and timber. 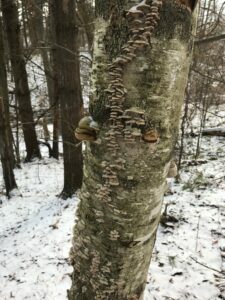 Entering the 20th century re-growth began in some areas of Vermont including the northeastern region of Centennial woods. 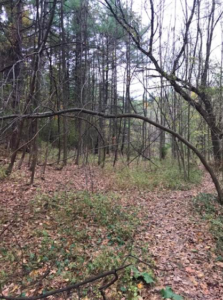 Only later on in this century, following 1947 did regrowth begin in the lower region of Centennial Woods where my phenology site can be found. This information was determined by Ariel images of the region provided by Burlington geographic. 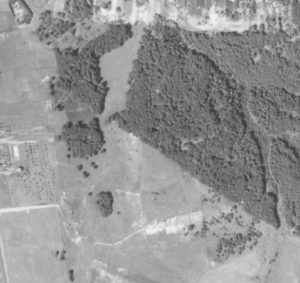 Left: 1937 Aerial Photograph of Burlington, VT by Sunburn Co. Screenshot of Centennial Woods by me. Right: Present map of vegetation in Burlington, VT provided by Burlington Geographic. Screenshot of Centennial Woods by me. 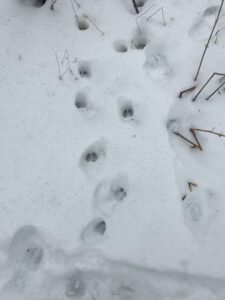 When I visited my site this week I found it buried and a sparkly, thin layer of fresh snow. 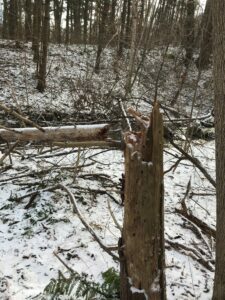 I was shocked to see how many trees had fallen since my last visit although most were standing snags that had fallen. 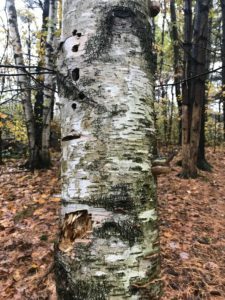 Considering the history of this region of Centennial it makes since that some of the young forests original trees, with shorter longevities such as White Birch trees, are now nearing old age and death. 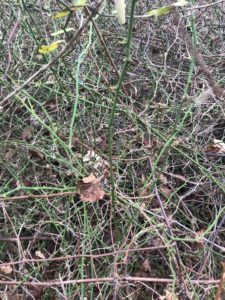 This entry was posted in Uncategorized on December 6, 2018 by saclelan. 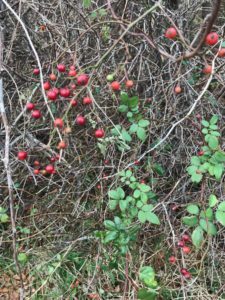 Today I visited my phenology site. 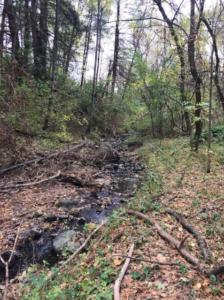 I have a small clearing in Centennial Woods, alongside the creek. I was drawn to choose this location because of its natural beauty. The combination of the creek’s movement and surrounding vegetation make the area feel extra alive. 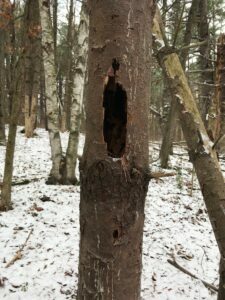 The most common tree at the site is Eastern White Pine, but there are several Ash and Buckthorn trees as well. 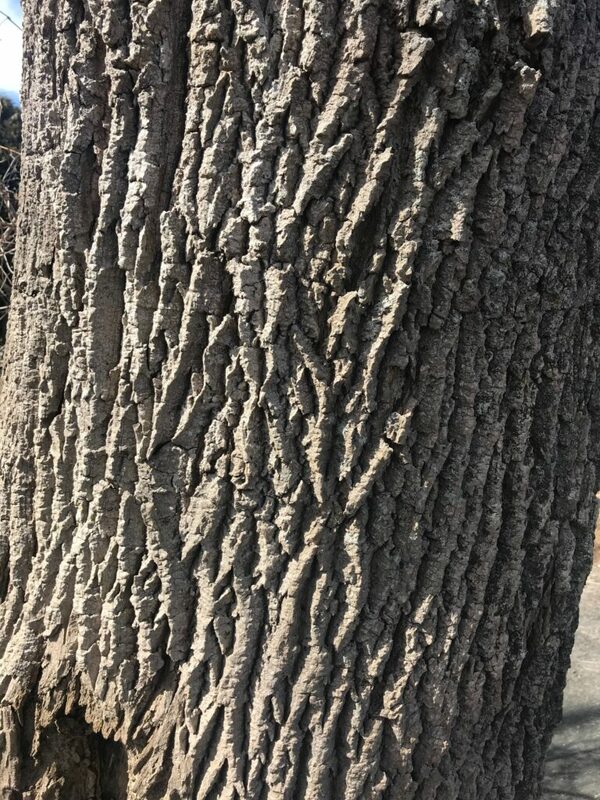 I am curious if I will see the first hand affects of invasive Emerald Ash Borer’s in the coming months on my sites healthy looking Ash’s. 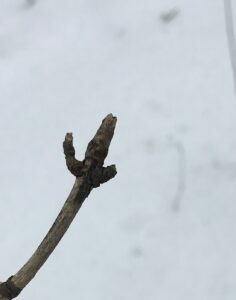 Although there are lots of other diverse trees, such as a Boxelder and Paper Birch, the grounds of my site are covered densely with smaller plants and saplings. Over-story trees seemed more dominant. 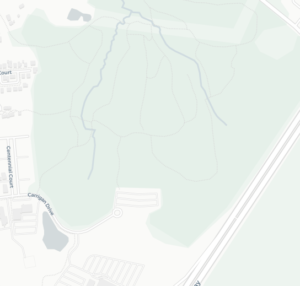 Getting to the location is straight forward from the Centennial trail entrance. If you follow the trail straight, turning right off of the first path split, you will arrive in no time. This entry was posted in Uncategorized on October 8, 2018 by saclelan.